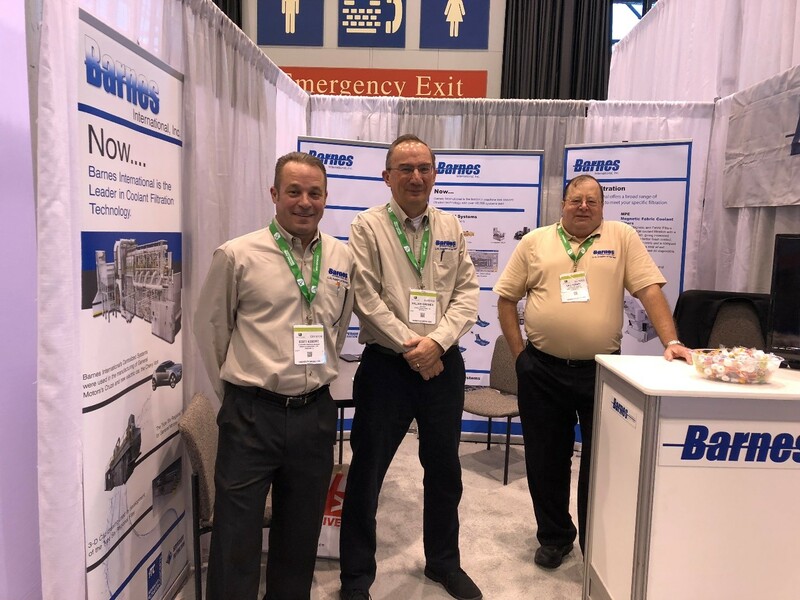 IMTS 2018 - Barnes International, Inc.
Barnes International had the pleasure of exhibiting at IMTS 2018. We all really enjoyed being a part of IMTS and making connections with other companies and individuals. At this show, you are able to get close to products that you are interested in, try new technologies, talk to companies, and find inspiration. IMTS offers solutions for your business, customers, your employees and your family which is why it is so important to spend the time going through the show. There were 129,415 registrations, 1,424,232 square feet of exhibit space, 2,563 exhibiting companies, and 2,123 booths which all contributed to 2018 being a record-breaking year. “The rapid growth of digital technology, automation and additive manufacturing are especially driving interest. The booming manufacturing economy means visitors have capital and are ready to invest.” Being apart of IMTS was an incredible experience and we cannot wait to see how IMTS 2020 will be.